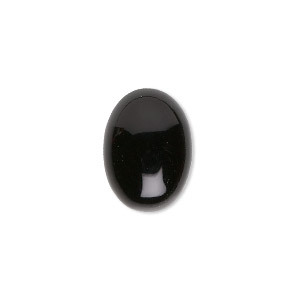 Cabochon, black onyx (dyed), 40x30mm calibrated oval, B grade, Mohs hardness 6-1/2 to 7. Sold individually. 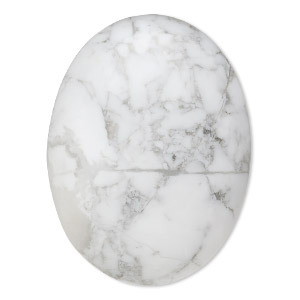 Cabochon, white howlite (natural), 40x30mm calibrated oval, B grade, Mohs hardness 3 to 3-1/2. Sold individually. 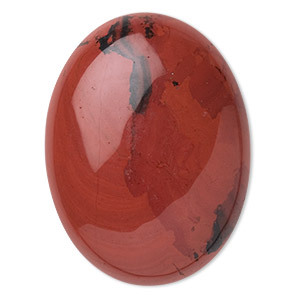 Cabochon, red jasper (natural), 40x30mm calibrated oval, B grade, Mohs hardness 6-1/2 to 7. Sold individually. 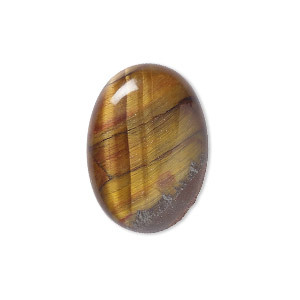 Cabochon, tigereye (natural), 25x18mm calibrated oval, B grade, Mohs hardness 7. Sold individually. 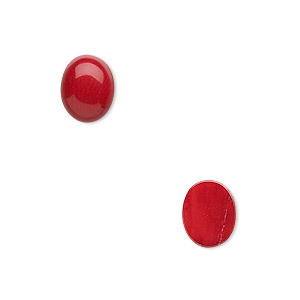 Cabochon, bamboo coral (dyed), red, 8mm calibrated round, Mohs hardness 3-1/2 to 4. Sold per pkg of 2. 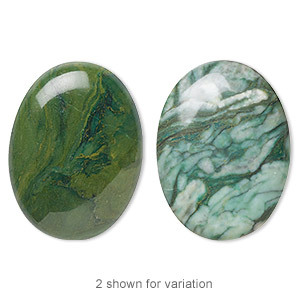 Cabochon, African "jade" (quartz) (natural), 40x30mm calibrated oval, B grade, Mohs hardness 7. Sold individually. Cabochon, green chalcedony (dyed), light to medium, 10mm calibrated round, B grade, Mohs hardness 6-1/2 to 7. Sold per pkg of 2. 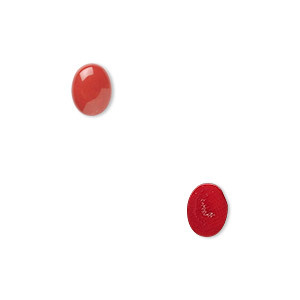 Cabochon, turquoise (assembled), 8mm calibrated round, Mohs hardness 5 to 6. Sold per pkg of 4. 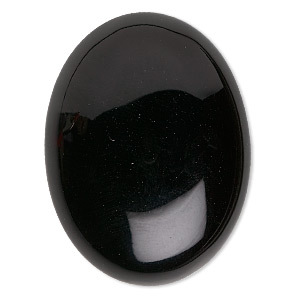 Cabochon, black onyx (dyed), 18x13mm calibrated oval, B grade, Mohs hardness 6-1/2 to 7. Sold per pkg of 2. 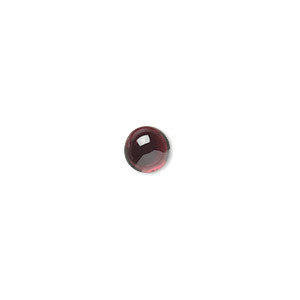 Cabochon, garnet (natural), 6mm hand-cut calibrated round, B grade, Mohs hardness 7 to 7-1/2. Sold per pkg of 2. 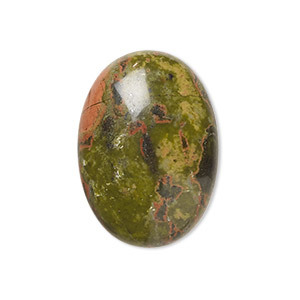 Cabochon, unakite (natural), 25x18mm calibrated oval, B grade, Mohs hardness 6 to 7. Sold per pkg of 2. 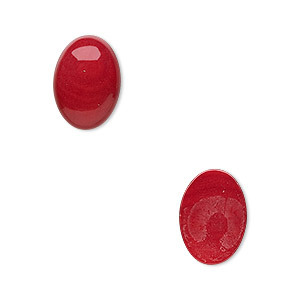 Cabochon, "opal" (silica and epoxy) (man-made), white, 4mm calibrated round. Sold per pkg of 4. 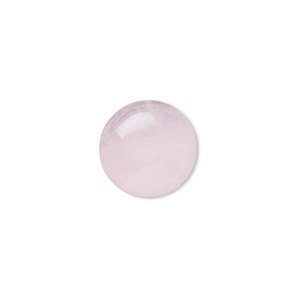 Cabochon, rose quartz (natural), 10mm calibrated round, B- grade, Mohs hardness 7. Sold per pkg of 10. 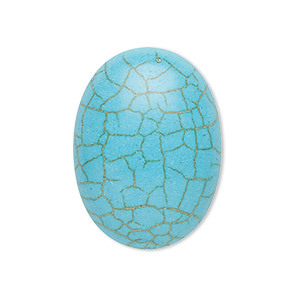 Cabochon, "opal" (silica and epoxy) (man-made), light blue, 6x4mm calibrated oval. Sold per pkg of 2. 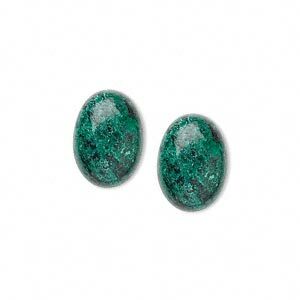 Cabochon, chrysocolla (stabilized), 14x10mm calibrated oval, C grade, Mohs hardness 2 to 4. Sold per pkg of 2. 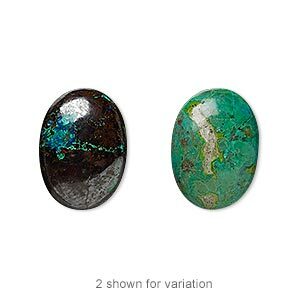 Cabochon, chrysocolla (stabilized), 18x13mm calibrated oval, C grade, Mohs hardness 2 to 4. Sold individually. Cabochon, Mexican "opal" (silica and epoxy) (man-made), 6x4mm calibrated oval. Sold per pkg of 2. Cabochon, bamboo coral (bleached), white, 10mm calibrated round, Mohs hardness 3-1/2 to 4. Sold per pkg of 2. 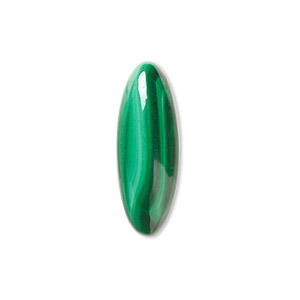 Cabochon, malachite (natural), 22x8mm calibrated oval, B grade, Mohs hardness 3-1/2 to 4. Sold individually. 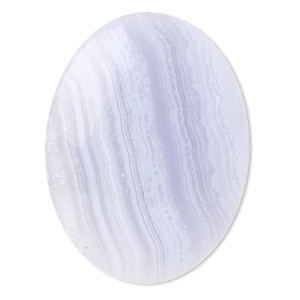 Cabochon, blue lace agate (natural), 40x30mm calibrated oval, B grade, Mohs hardness 6-1/2 to 7. Sold individually.